We are under fire ^^ .... Ok, before starting, i just want to say, we should all keep calm and polit. So, i was speaking on my website about AoE4, suddenly, some say, yes but it is relic behind, and what i have heard is DoW3 is not well received at all. The worst of DoW sequel. So this is exactly what RTS players that haven't play the game feel. Lot of them, just look to steam chart, and even here, i read often ..."look to steam chart, the game is dead". I look to dawn of war 2 launch 4000 players, 6 month later 1000 players. Launch of Chaos Rising : 663 and except really far later always under 1000 players, only retribution was better : launch 2239, 2 monhs later 3200 and then more than 1500 players. Now look to dow3 : 25000 palyers at launch, and it stays around 1000 . (with a up these last day that i don't count). After all the bad press, i think, it shows the game can live. And it is not "the worst" . The worst was Chaos Rising, and retribution succeed to bring players for a good amount. Im not saying dow 3 is in good health and coming from 25000 to 1000 so quickly is a bad sign, but it can stay around this level. Nearly all actual palyers play multiplayers or skirmish, no more on solo, so you still have a real core of players. I remember on Age of mythology, multiplayers were from the launch to 2 years later around 2000 players, and it was easy to find a pvp in automatch. The bad press is just a pain to let new RTS players try this game, and even the impact on AoE4 could be present, cause RTS is a small world, and AoE lovers know right know that relic seems to have fail with dow3. They ask me, how was the support, the launch, why DoW3 is a bad game..... So i explain honestly everything saying i love dow3 but too many haters to clearly let Relic in a good position to work. What source did you use to get those numbers for Dawn of War 2 and its sequels from all the searching I did no one held any reliability. It showed the player count back then in dow2 ingame. steam charts. Real stats i don't magnify anything. Yeah it usualy takes about 5-15 minutes to find me a game in 2v2 or 3v3. Havent played any 1v1 yet in dow3 so no idea how long you need to wait for a 1v1 game. Im pretty sure the player number will raise up in the week of the patch release, will see what happens. Game is surely not dead tho, even dow2 wasnt and the game had even less players online and more game modes like last stand. keep in mind that chaos rising and dow2 both launched with either of the 2 steam game entries, so you always have to combine those when taking the player numbers from a time since chaos rising released. steamchart doesnt even go back till the release time of those 2.
btw, dow2 and its expansions managed to get almost as much owners during the last sale than dow3 has since release. Please remember that waiting times are affected by rank and by the time at which you que since there are more players playing at certain times, and may therefore not be representative of the average players waiting time. Do you have data to back this up? I assume you mean new owners. I still beleive DoW3 has opportunity to come back, but they should have choose an other name: Cause DoW3 is a wonderfull RTS and a bad Dawn of War for the DoW community. They could have named it "Twilight of War" (i see your smile .... no i don't mean twilight of Dawn of War ^^ ) and keep dawn of war 3 for another more classical DoW RTS, perhaps with the same graphical quality, cause, it just starts to flame on relic after the first screenshots. With that way we 'll have a kind of RTS/Moba with doctrine/ plenty of heros/ balance probalbly always broken, but it is assumed and a DoW3 closer to the first DoW. Most of the actual haters, will have say : i dislike it, but well it is not DoW3. no mis information Not saying at all dow 3 sells better or what you want, or community is strong. I just say that it is not dead. That's all. And that comes from steam chart. Even dow2 is not dead. Played it a few months ago before dow3s release. There were maybe around 100-200 online a day playing mp. Still you were able to find games, i know pretty much everyone around and still alot of high level players played the game. To say a game is dead when there are 1000~ people online playing is wrong. Sure its not very popular, or not popular at all, but definitely also not dead yet. Im pretty sure they can still do something so the player numbers will raise up higher, with additional races and a improved campaign, game is not dead yet. It's kind of sad that you've got sad over other people not being this sad. Taking away semantics, you're showing the same link, showing the same numbers which shows no difference to me. Steel Division got half of this and is pretty much dead, while DoW2 shows less and there are even lobbie(sometime -s) I can find. Sorry, but there must have been something personal between you and this game. Yes, it is my personal guess. While I don't and never will use metacritic as a baseline, it is a good dropline to work with. But as it stands, the meager 310 user reviews doled out over 8 years aren't a solid snapshot of how well it was recieved back then, and even the meager scraps for dawn of war 3 are too small for a good measurment. the only thing I can't resist doing, is anylizing the difference between then and now. Dawn of War 2 DID have six or so sales through THQ, often bundling their old copies of Company of Heroes with them, and offering discounts for Tales of Valor, durring those 4 months. The difference in how things were back then to now is a bigger tell all. Dawn of War 2 dropped into steam which back then only had around 311 games total, most of them were bad console port overs or badly implemented cross plat games, bringing it down to a 200ish range. the average actual players playing games back then for the entire year was 130k-224k players a day. Past the third week you had almost no multiplayer games because at that point the meta of ++heresy redacted++ scout scumming had set in, you can see the uptick on june 20 after the TIOW patch was announced, though at this point the first series of singleplayer fixes were implemented. and the OP is "Technically" correct, the launch day numbers at 3pm USA was under 4k people, but it spiked to double that a few days later on the following week, the peak numbers were parallax so they're not really a solid grouping unless you want to believe 12k players up and vanished within 20 minutes. it then held nearly 20k players for about three days before shedding 5-6k players over a week. Where it took Dawn of War 3 a full month to drop 10k players, dawn of war 2 did it in two weeks. Chaos rising basically gave steam a panic attack, if you had chaos rising you also counted as playing dawn of war 2, if you didn't have chaos rising it would just count you in dawn of war 2 if you played it instead, this is shown whenever the CR numbers rose so did Vanilla. That was fixed when sega got the rights and steam transferred them while fixing the error. Things like this still happen, like when Eternal Crusade had to gift players their upgrade when it went free to play, not all players needed it though. When Chaos rising came out, the multiplayer all but dried up because of chaos spam (which they never ever fixed). It took even less time for Dawn of War 2 to bottom out with chaos rising, it spiked here and there whenever bigger patches came into play again...but only by 1-2k players. Compared to now, more 40K games are out, there's around 11k (greenlight ++heresy redacted++ not counted) games on steam. 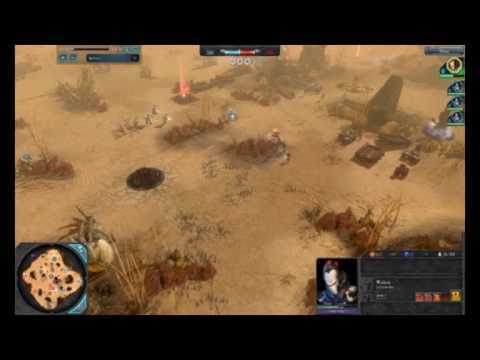 The RTS Market became saturated with a lot of new games, including the release of Starcraft 2. When starcraft 2 came out, you had to have either pre-ordered the game or wait two days for the download to finish because blizzards servers couldn't keep up. You can even see the trend, durring the two days that you couldn't get SC2 the Dawn of War 2 CR playerbase spiked to just about 75% more than what it had for the last month, then the moment the game became purchasable in stores again the numbers plummetted to half of its peaks, then kept slowly declining. The RTS famine is also reflected when you compare Dawn of War 2's numbers to when each total war game came out, people just wanted good RTS games back then and they were more than willing to buy them. Now there are more Total War games, some pretty big hitters too. More RTS Warhammer games/mods, more strategy games in general. They would have had to Reboot Dawn of War to bring us 3, the playerbase is split and they'd have needed to bring something that hasn't already been done for it to be more successful. Where Dawn of War 2 basically survived on its singleplayer, dawn of war 3 lacks a re-playable one. If that's fixed in the next few months to a year, then we'll see what happens. But no, the game is not "dead", and I think over the next few weeks it might get a second wind with mods. What relic does after that will determine much of the games fate. The reason DoW 3 looks like it has 1k players is because of a recent coupon giveout of 50% off. Before that it had highs of 500 and lows of 100 for concurrent players, which is around the same as DoW 2, an 8 year old game surviving off a mod with no automatch. Keep in mind concurrent players doesn't tell you the amount of unique users, time spent playing per user or what game mode people are playing so it can be a bit misleading. Most people from the sale will be playing the single player campaign and then leave. Some might play multiplayer, but the multiplayer crowd for this game is constantly going down. Its amusing how people think that being unable to find an opponent in a timely manner in dow3 doesn't matter as long they tell themselves that no one played dow2. 15 min queues were not unheard of in DoW2, because vast majority of these players simply replayed campaign and sat in Last Stand.... DoW2 ranked was very comparable to DoW3 one, only exception we had about ~8 good players to follow instead of DoW3 ~5. Edit: There are no accurate stats for older games from when I looked at Steam stats. From the Steam stats it does show that DoW 2 did better than DoW 1 though. Lol, actually, it were Live-related issues on my memory ever onward for original DoW2. Of course, I disliked it for being "CoH1 put in the new setting" (I don't agree with it, right now - it was just too shallow and arcadish). I dropped it after the first month, as I got something important on the line and Live won't had allowed me to play either way. From my memory, it was, "Meh, I would go and play some other titles instead" (luckily, there were what to choose from at the time) on the launch. I doublt that anything did really change untill CR's or Retribution's release. Again, it was nothing in comprassion with CoH2 outrage, so, I guess, there were more of "dislikers" than the "haters" for DoW2. Can't really say how most of detractors feel toward DoW3, though. Dawn of War 2 pretty much survived only on its re-playable singleplayer, the multiplayer even to this day remains broken. TIOW wasn't able to save it completely, but it did patch things up enough to preserve the game for Last Stand......then Chaos Rising came into the picture and from there it was a rapid decline from multiplayer, no one wanted to play anything but the cheese festival that was Chaos. Retribution however fixed a lot of problems, but still has glaring exploits and broken mechanics to the point that two mods have become the standard gameplay method for online. Though it is INFINITELY more stable, and way more balanced than its predecessors, only beat out by dawn of war III. GFWL was dropped when Chaos Rising was released. Because everyone hated it. The 'There Is Only War' update came about 6 months or so after release and changed the game to be less random and more skill based. Also changed the pacing of the game completely. It's way better than it was on release. Chaos Rising and Retribution mainly brought new races, but the gameplay was the same. People still play the game today but the multiplayer has it rough. Automatch is dead, retail has terrible balance and the multiplayer crowd is forced to play in a mod with custom matches only. I'm assuming you weren't there for the scout meta and exploits, or durring the days where chaos were equal to space marines but orders of magnitude cheaper. or when terminators were an instant win scenario, the rhino terror events or even when devastators could be placed without any detriments to suppress anyone and anything (even retreat for a short time). Even to this day, there are still issues with scouts in vanilla retribution. They still haven't even balanced chaos right, they're still the cheese faction. GfWL was used throughout vDoW II and CR, and was only dropped when Retribution was released as a standalone fully Steamworks-integrated product. This is how saved games transferred between the two titles, and why the expansion used the same core codebase as the original. Oh, my bad. Thought GFWL was taken out in CR for some reason. Some people didn't like There is Only War because it changed the gameplay, but it was better for the game and more people liked than disliked. My own personal reason for loving it was for the inclusion of combo attacks. Having one Scout knockdown a unit and another throw a grenade on said disabled unit. It added skill to the game as opposed to the random chance generator that there was before. I remember some of what you meniton though i was talking about balance at the time of the last patch when all that was fixed for a long time. Whats up with scouts anyway? As for the overall balance, like taking into account all the patches, idk. There is almost always some new imbalanced unit or ability after each patch. More patches - more OP stuff. I could say "huh, remeber when asm with low flying jump killed full health dire avenger squads in two shots". The current situation where orks that seem to be the weakest faction are about to get nerfed while sm being the strongest are about to get buffed doesn't look that great either. Almost none of it was actually fixed, Retribution just moved us into a different game for all intents and purposes. Though some of the issues still remain in retribution, like chaos cheesing and scout shotgunning (that's what was up with scouts after the invincibility fix, shotguns in T1 let you bumrush the enemy and remove their units quick). can't say much for current balance, though I do hope they fix a lot of stuff. I know they're buffing the factions directly and nerfing some of the cheesy doctrines though. What's the point in commenting on dow2's past balance when current balance is fine with only minor issues. Elite mod was created as a way of testing some community proposed balance changes. The mod took a different direction and aimed to allow more variable game play. Then a new race was added and lots of extra units. I think they made a mistake in covering the gaps in different race rosters, those gaps are important for differentiating races and balancing them. the elite players formed their own community and play together because they are friends but there is about a 50:50 split between mod game should and retail games. Elite mod is not better balanced than retail DOW2 although it was at times. @Lockerd said:I'm assuming you weren't there for the scout meta and exploits, or durring the days where chaos were equal to space marines but orders of magnitude >cheaper. or when terminators were an instant win scenario, the rhino terror events or even when devastators could be placed without any detriments to suppress anyone >and anything (even retreat for a short time). Even to this day, there are still issues with scouts in vanilla retribution. They still haven't even balanced chaos right, they're still >the cheese faction. Chaos space marines were nerfed, not sure what was wrong with terminators and rhino but they are fine in the last vanilla patch, same with devastators (except the ig machine gun that likes to go into melee). Scouts with shotguns? Good at defending against melee squads and some heroes, bad at everything else. Nothing wrong with them imo. Chaos being cheesee? Dunno, they could have used some more nerfs to overperforming stuff like plague marines, let the galaxy burn, etc(which i assume they did get in the elite mod) but all their units were useful, so not sure they can be called cheese faction if they are not foced to use cheese. I mean its not like what we had with sm in dow3 a couple of patches back where you either spam asm with that jump doctrine or you lose.